1664 - a tenement owned by George Andrews. 1665 - owned by John Andrew - from father,George. 1701 - owned by John Ramsey (? - July 1708). John married Mary Carrington, daughter of John. 3 August 1708, John and Mary’s only child. 1727 - owned by Thomas Field.
? - owned by William Barker. 1768 - owned by Sarah Field. 1770 - owned by carpenter Edward Single of Fox Hall, Ippollitts. .
1785 - owned by labourer, Thomas Arnold of Great Wymondley. Occupied earlier by John Sharp and now Edward Andrew. 1793 - owned by labourer, William Arnold of Edmonton, Middlesex on death of father, Thomas. 1799 - owned by Henry Mardlin, yeoman of Kings Walden. Occupied now by William Barker. plait with six in household. 1664 - a tenement owned by David Clements. 1691 - owned by Thomas Oakley on death of Clements. 1696 - owned by Thomas’ daughter, Anne Marshall, wife of Jeremiah.
? - owned by Draper. 1713 - owned by Thomas Wells, inherited from ‘deceased mother’. 1723 - owned by William Archer. 1725 - owned by Henry Pedder. 1771 - owned by Joseph Pedder on death of father, Henry. 1805 - owned by Henry Mardlin, labourer of Preston. 1808 - still occupied by Henry Ward and Thomas Lawrence. Using manorial documents, eighteenth century maps and awards, wills and census details it is possible to trace the majority of owners and occupiers of Preston’ homes. (many of the whom were ‘absentees’) sought more rent. at Temple Dinsley to buy cottages in the village. During the early twentieth century, the face of Preston changed dramatically as tumble-down homes were demolished and much of the village was rebuilt. For the purpose of this exercise, Preston has divided into small sections. From 1918 until at least 1930 - Reginald Joseph Wilkinson Dawkins (Temple Dinsley estate manager) and his wife, Annie Anderson Dawkins. 1951 Henry R Townshend and Alethea S Townshend. 1961 Anthony R Thompson and Elizabeth A Thompson. 1965 to 1996 Richard J L Altham and Rowena J Altham. Tracing the ownership of these cottages was a challenge. 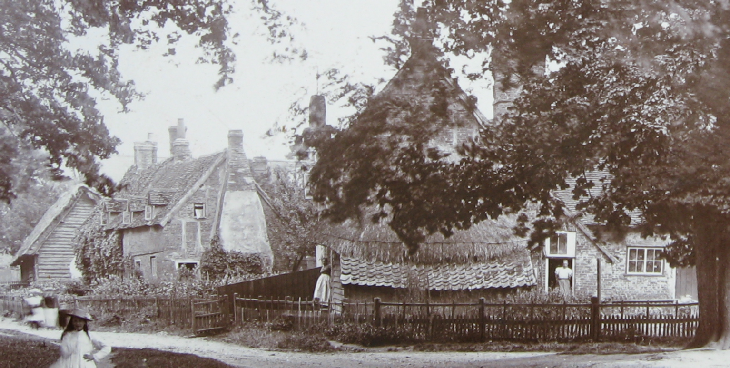 The cottage on the corner of School Lane and Preston Green (in the foreground of the above photograph) was probably owned by Thomas Browne in 1664 - being described as ‘a house (named ‘Homehouse’) on Preston Green and orchard’ with the relatively high manorial rent of £1 7s 4d. After the Hearth Tax was introduced, it was taxed as having two chimneys in 1663. 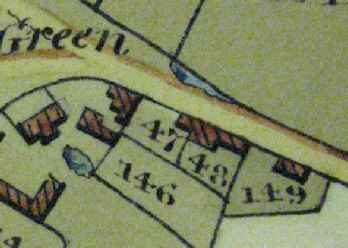 Probably the house and orchard occupied a substantial area as the owner of the house that is the Red Lion today paid rent of only 18/-, which included three acres of land. By 1714, ‘Homehouse’ was owned and occupied by the widow, Mary Browne. Then, in the late 1660s,Thomas Browne gave up part of his land and had two properties built on it, one of which which he gave/sold to Robert and Catharine Brown together with 16 poles of land. 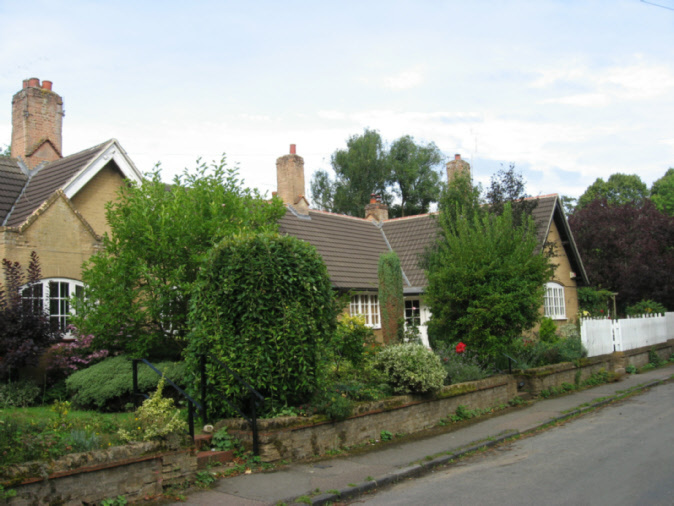 The other cottage came into the possession of ‘the widow, Browne’. These had evidently been erected before 1670, as both Robert and the Widow Browne were exempted from Hearth Tax in that year. In turn, both of these two cottages were sold to Andrew Bowstred in 1681. He sold the larger property, which had been converted into three homes, to John Austin in around 1697. The smaller cottage was later purchased by Mary Browne before 1714. Thus, the ‘Survey of Temple Dinsley Rents 1714’, shows Mary Brown owning two properties with rents of £1 1/- and 1/6d and John Austin owning a property with a rent of 4/6d - making a combined rent of the three properties of £1 7s 0d - which is 4d short of the rent Thomas Browne was paying for his home and orchard in 1664. (I note Stephen Swain, owner of the adjacent ‘Red Lion’, was paying rent of 4d for property/land in 1714) Incidentally, the three properties were listed consecutively in the 1714 Survey - which perhaps indicates their proximity. 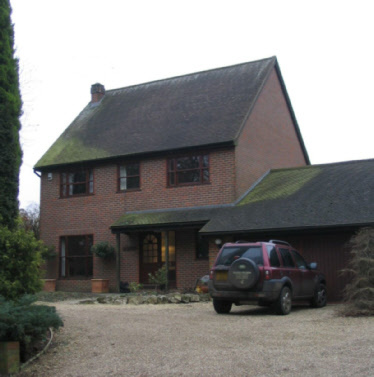 manorial rent of £1 17s 4d. Paid Hearth Tax for two chimneys. 1691 - owned by John Browne from father, Thomas. 1714 - still owned by ‘widow, Mary Browne’ with rent of £1 1/-. Included an acre of pasture with outhouses, edifices, barns, stables, yards waters and watercourses etc. 1719 - owned by Robert Brown on death of mother, Mary. 1769 - left to Samuel Newman. by Jeremiah Gazeley and Joseph Ward and now by William Ward’ (1793). Rent still £1 1/-. 1795 - Mortgaged (with the Red Lion) to Edward Bruton, Kimpton farmer for £500. Repaid 1811. 1811 - Stephen Swain sold the acre of land associated with the property to Joseph Saunderson. 1835 - bequeathed to Stephen’s daughter, Priscilla Swain. 1873 - owned by Joseph Darton. A comparison of the maps above and their awards tells the story of these cottages along School Lane, all of which had been constructed by the 1660s. 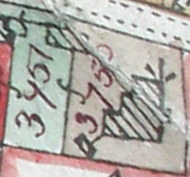 On the 1811/16 map, there were just three holdings (consisting of four cottages which are labelled above) which were occupied by five households - 1 had three households alone. However, in 1825, these same sub-divided cottages housed no less than ten households. By 1898, after some alterations, seven households lived along this lane. Ladies from two different households occupying 1 are shown in the photograph at their front doors. So, how could so many live in so few homes? The answer can be found in the 1911 census and the Inland Revenue Survey of 1910. 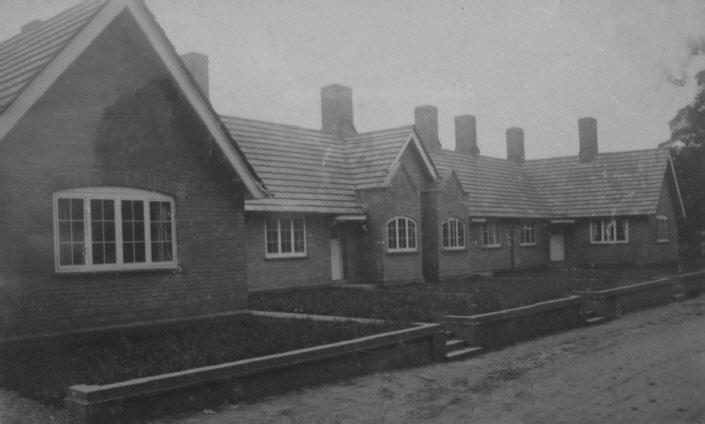 Cottages 2, 3 and 4 had been sub-divided into two-roomed dwellings with only a kitchen and a bedroom. Yet whole families lived in these homes. At home labelled 3751, farm labourer Leonard Peters existed with his wife and four children aged between 4 and 8 years. Next door, another labourer, Robert Crawley squeezed into another two-roomed property with his wife and five children. That these homes were soon to be demolished speaks volumes as to their dilapidated state - indeed in 1891 three of these cottages were uninhabited. 3755 - brick and tiled cottage with kitchen, pantry and two bedrooms occupied by Mary Ann Palmer and five others. 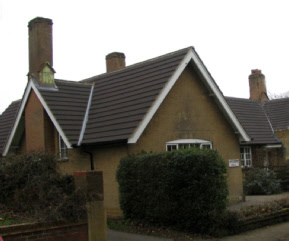 3756 - brick and tiled cottage with kitchen and bedroom occupied by George Turner. 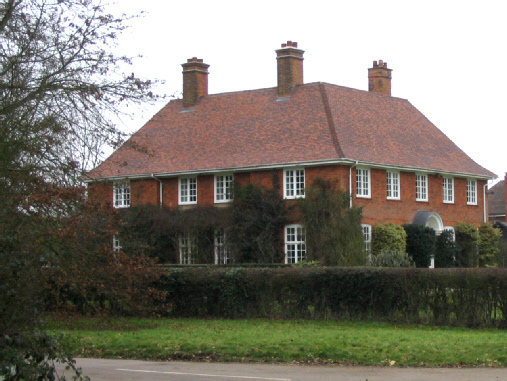 3757 - brick and tiled cottage with kitchen and bedroom, formerly occupied by William Boston, his son and grandson, now by Osbourne. All were in poor condition. This (3751/2) was owned by Joseph Darton in 1811, but the earlier history of its owners is unclear. 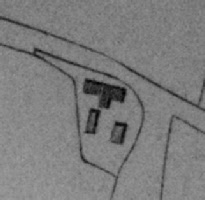 In 1898, the sub-division of these cottages was clearly shown (left). 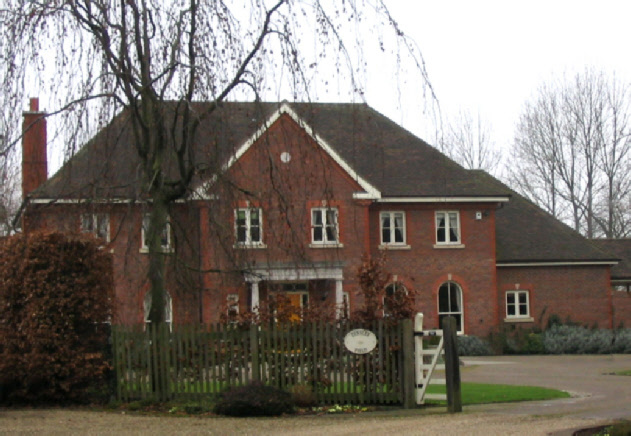 Both properties were owned by RDV Pryor. 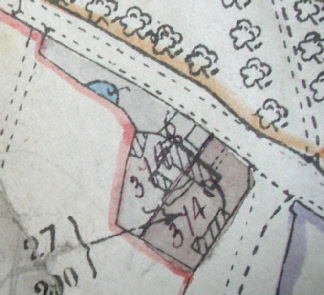 The position of this cottage in relation to Preston School is shown on the 1898 map (left, however, part of this cottage should be labelled 3752 as this number is missing on the map). 3751 - brick and tiled cottage with kitchen and bedroom. In poor repair. Occupied by Leonard Peters. 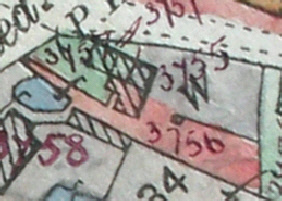 This property was owned by RDV Pryor. It is impossible to state exactly in which of the cottages the following villagers lived, but the following is a list who who lived in them with an approximate date of their occupancy. 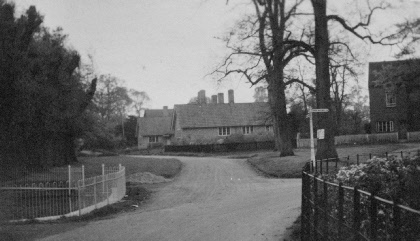 The tumbledown cottages along School Lane were demolished in 1919 and were partly replaced by four bungalows in 1920 which were built by Douglas Vickers of Temple Dinsley. When Preston School was also flattened in 1977, new houses were built on the vacant land. ‘Dinsley Field’ was built between 1961 and 1971 on land previously taken up by allotments. It was demolished a few decades later and the existing home was built in 2000. 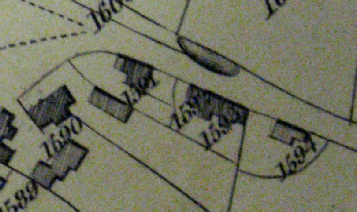 Thus, in 1805, Henry Mardlin owned both cottages. By 1807, he had mortgaged them to William Sheaf of Kings Walden. In 1810, Henry again mortgaged the property to John Hawkins of Hitchin for £110. It was to be held in trust to Joseph Darton who became its new owner. 1821 - occupied by Elizabeth Ward (widow) and Thomas Lawrence, who were still living there in 1827. When Thomas Darton sold the Temple Dinsley estate to the Pryor family in 1873, these cottages were included in the sale. However, it is impossible to pinpoint their occupiers until 1910, but its owner was Ralston de Vin Pryor. 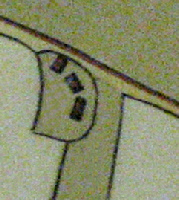 There were two cottages - the one to the east, occupying 25 poles, was occupied by Jesse Smith. John Jeeves lived in the cottage to the west which utilised 21 poles. Both were described as being brick and tile cottages with a kitchen, pantry, two bedrooms and a garden. They were demolished by Herbert Fenwick in around 1908. On their plot, in 1918, Crunnells Green House was built for the manager of the Temple Dinsley estate. 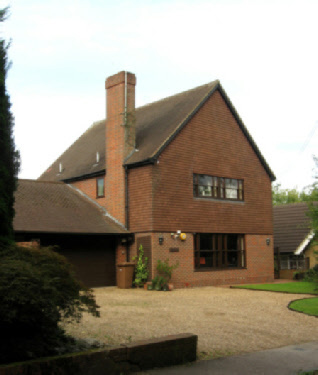 Although not boasting the typical Lutyens chimney stacks, this impressive detached house is listed as being designed by Lutyens. Indeed, when sold in 1945 as part of the Minsden Estate, the Sale Particulars described it as having been ‘designed by the late Sir Edward Lutyens’. Built in the late 1660s, probably by Thomas Browne, on the site of an orchard. 1670 - owned by Robert and Catharine Browne who were exempted from Hearth Tax on the property. 1697 - owned by John Austin as three cottages ‘at Preston’. 1727 - owned by Henry Wheeler, labourer, the late John Austin’s son-in-law. Now, two cottages. 1754 - left to Henry’s daughter, Ann Coe, wife of John Coe of Hatfield in will dated 24 November 1754. 1797 - left to Thomas Coe, 15, Ann Coe’s grandson on death of Ann and John Coe. 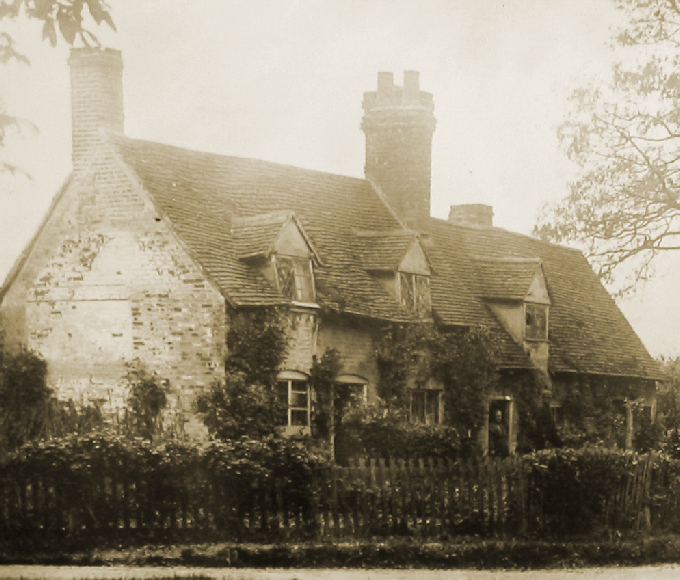 1670 - occupied by the widow Browne, who was exempted from Hearth Tax on the property. 1673 - owned by Robert and Catharine Browne. 1681 - owned by Andrew Bowstred. 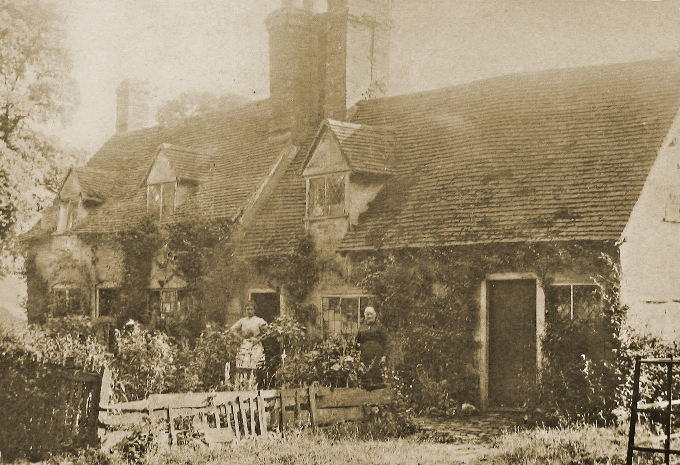 1704 - owned by Mary Browne as ‘a cottage and 6½ rods of land near Preston Green’. 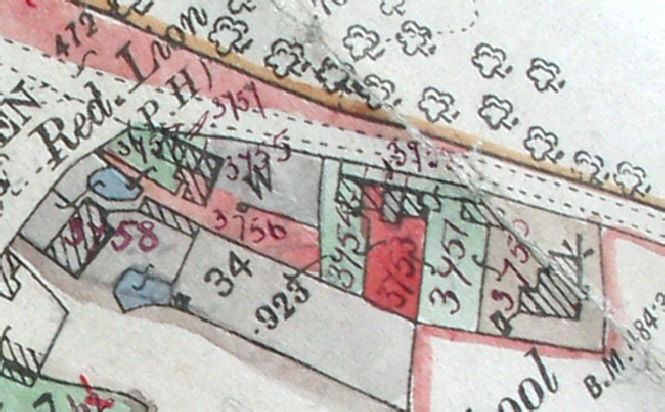 1730 - left to Ann Brown, Dennis’ wife, as a ‘copyhold cottage and 6 poles of land adjoining. Dennis had also ‘lately purchased 10 poles of land from Benedit Ithell’ of Temple Dinsley.
? - owned by James Belsham, gentleman of Bedford. 1754 - owned by Peter Poulter snr, labourer of Preston’ who immediately mortgaged the property to Daniel Joyner for £12. 1805 - owned by William Poulter, Peter jnr’s son. 1811 - sold by William Poulter to Joseph Darton.